ST. GEORGE – Search crews have found the body of a missing Santa Clara man who disappeared Monday while scuba diving near Catalina Island, California. The man was 40-year-old Jared Royer, who worked as an anesthesiologist at Dixie Regional Medical Center in St. George. Royer was part of a group on the dive boat Sand Dollar. The search for Royer began after the dive boat captain told the U.S. Coast Guard a diver from his boat had gone missing Monday night. The boat’s captain said the diver surfaced from the water, cried for help, then slipped back underwater. 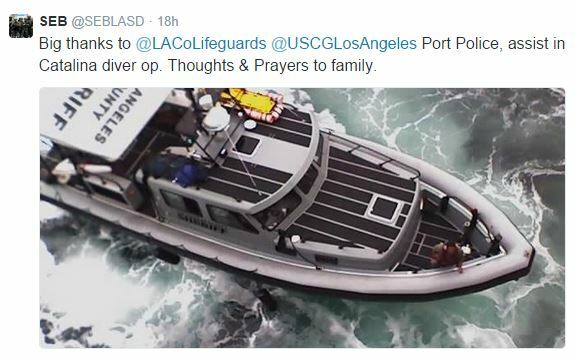 Assisting in the search were helicopter aircrews from Coast Guard Air Station Los Angeles and Coast Guard Sector San Diego; Station Los Angeles-Long Beach 45-foot Response Boat crews; Coast Guard patrol boats; Los Angeles Port Police; Los Angeles County Fire Department; and Los Angeles County Sheriffs. The Coast Guard suspended its active search for Royer in Emerald Bay on Catalina Island Wednesday evening, according to a U.S. Coast Guard press statement, after Coast Guard boat and air crews scoured approximately 587 square nautical miles, spending more than 69 hours in search patterns. 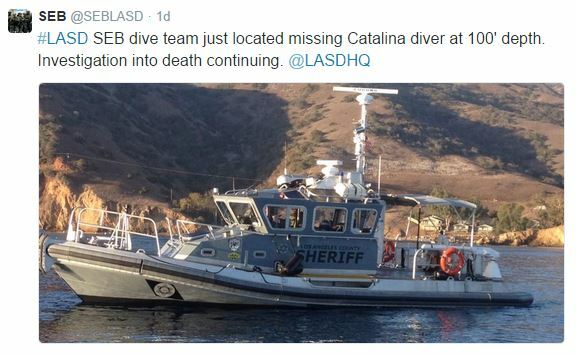 The Los Angeles County Sheriff’s Department’s Special Enforcement Bureau diving team eventually located Royer’s body Thursday at a depth of 100 feet. Investigation into the death is ongoing. Brad Brian, who died in the recent Santa Clara small plane crash was also an anesthesiologist at Dixie Regional. Also about the same age. Tough break for the families. what a confusing written article, first the bodies found then the coast suspends a search then the sheriff finds it. Nothing about why? links go nowhere but to twitter blogs ?????? I didn’t know about this tragedy, I take the Spectrum where local news is forbidden. If you have a family, reconsider doing risky things. Kinda selfish to do risky and possibly hazardous activities without thinking of the impact an accident may have on others. Remember that guy who crawled down a underground tunnel and got stuck and died? He had a family, too. Odd place that is against places for adults to congregate and socialize, unless it’s a church, but gives its blessings to parents doing extremely risky and dangerous things. They just say their hearts go out and lets have a fundraiser.